Few Allied weapons struck fear into the hearts of the German infantrymen more than the fearsome Churchill Crocodile. Built on the chassis of the ever-reliable Churchill Infantry Tank, the Crocodile flamethrower was one of the most deadly weapons in the British Army’s arsenal as they fought through Europe during the latter stages of the Second World War. The Crocodile is one of the most famous of ‘Hobart’s Funnies’, and served with the famous 79th Armoured Division. During the early stages of World War 2, the British saw the flamethrower tank as a crucial weapon to defeat the predicted fortifications of a Europe that would once more be locked in a stalemated war. Prior to the work on the adoption of the Churchill, various other vehicles had been tested with flame equipment. 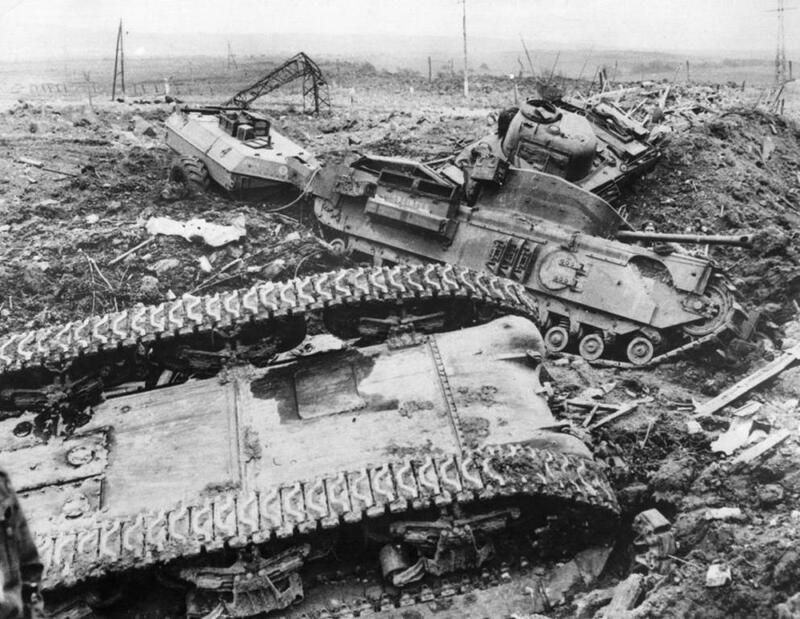 These included the Universal Carrier, Valentine and even unarmored lorries. 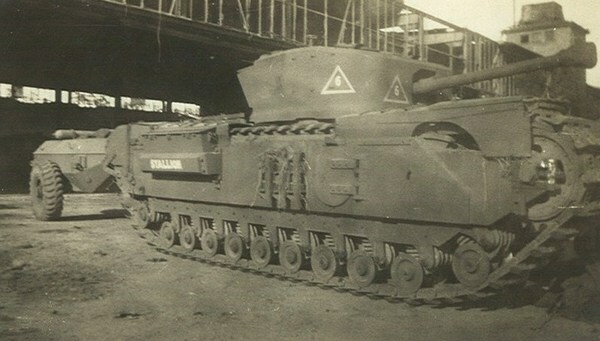 The first attempt at turning a Churchill into a flamethrower tank came in 1942 in the shape of the Churchill Oke, named after Major J. M. Oke who designed the conversion. Prior to the upcoming raid on Dieppe, Major J.M. Oke devised a flame-throwing modification, applied to three prototype vehicles, named “Boar”, “Beetle” and “Bull”. A pipe apparatus, with the fuel tank fitted at the rear, was linked to the front left hull Ronson flame projector, leaving the right-hand side hull machine-gun unobstructed. The Oke was only produced in limited numbers before being superseded by the Crocodile, though the three test vehicles were part of the first wave at Dieppe. The Churchill Crocodile was one of the famous “Hobart’s Funnies”, named, of course, after Major General Percy C. S. Hobart. Along with the Petard Mortar armed AVRE, the Crocodile’s development was a highly confidential endeavor. So much so that great lengths would be taken to destroy disabled Crocodiles in the field to prevent capture. The Churchill chassis used was that of the Mk.VII A22F, though some early versions were based on the Mk.IV. The A22Fs were specially built to be easily convertible into Crocodiles. The tanks kept their standard weaponry. This included the Ordnance Quick-Firing 75 mm (2.95 in) gun and coaxial 7.92 mm (0.31 in) BESA machine gun. Crocodiles based on the Mk.IV still carried the Ordnance Quick-Firing 6-Pounder (57 mm/2.24 in). 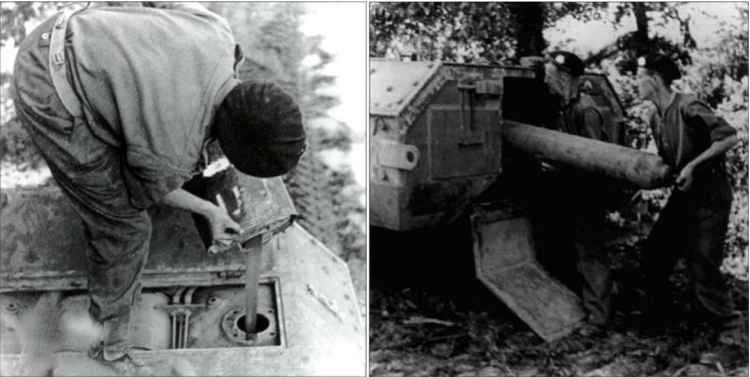 Armor of up to 152mm (5.98 in) thick also remained. The major difference from the original vehicles, of course, was the flamethrower equipment. ‘The Link’ at the back of the Cobbaton Combat Collection’s Churchill Crocodile. Note the various articulated joints that allowed the trailer its wide range of movement, and the pipe that runs under the tank that carried the flame fuel to the projector at the front of the tank. Photo: Authors Photo. 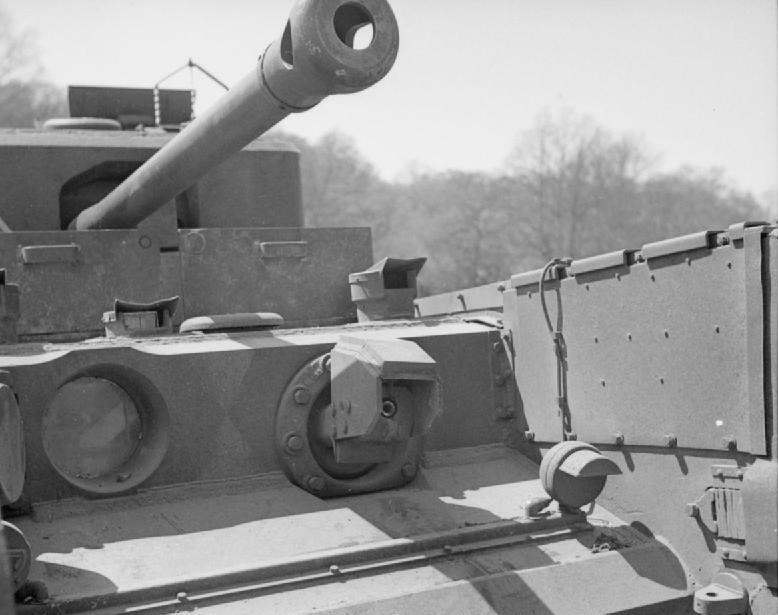 The flamethrowing nozzle was mounted in place of the Churchill’s regular hull machine gun. A pipe ran from this through an opening in the hull floor to a coupling on the rear of the vehicle officially known as “The Link”. Attached to this was a wheeled trailer weighing 6.5 tons with armor up to 12 mm (0.47 in) thick. “The Link” was made up of 3 articulated joints which allowed it to move up, down, left or right and swivel on the horizontal axis to allow it to navigate rough terrain. The trailer carried 400 gallons of flamethrower liquid and 5 compressed bottles of nitrogen (N₂) gas and could be jettisoned from inside the tank. The first wave of vehicles was nearing completion by October 1943. By the end of the production run, around 800 Crocodiles had been built or converted to the standard. Following the depression of the trigger, the nitrogen gas would propel the flammable liquid through the piping and out of the nozzle at 4 gallons a second. The liquid was ignited by an electrical spark at the tip of the nozzle. The thrower could spray to a maximum distance of 150 yards (140 m), though 80 yards (75 m) was more realistic in combat circumstances. The nitrogen would provide pressure for up to 80 one-second bursts. Longer bursts were optional. As well as being lit at the nozzle, the liquid could be sprayed on “cold” and then ignited by a subsequent lit burst. The Crocodile’s flame projector. Photo: Imperial War Museum. H37937. The Crocodile saw widespread service during the Allied push through Italy and North-West Europe. 13th Troop, C Squadron of the 141st Regiment Royal Armoured Corps (The Buffs, Royal East Kent Regiment) put their Crocodiles to bare on the first day of the Normandy invasion. The 1st Fife and Forfar Yeomanry and the 7th Royal Tank Regiment used them as well. Members of the 7th RTR would famously have their photograph taken on a Crocodile outside of the Bergen Belsen concentration camp, which they helped to liberate. Crocodiles would go on to assist the U.S. Army in a number of engagements, such as at the Normandy bocage and the Battle for Brest. They would also fight alongside them in the Anglo-American assault on Geilenkirchen, known as “Operation Clipper”. 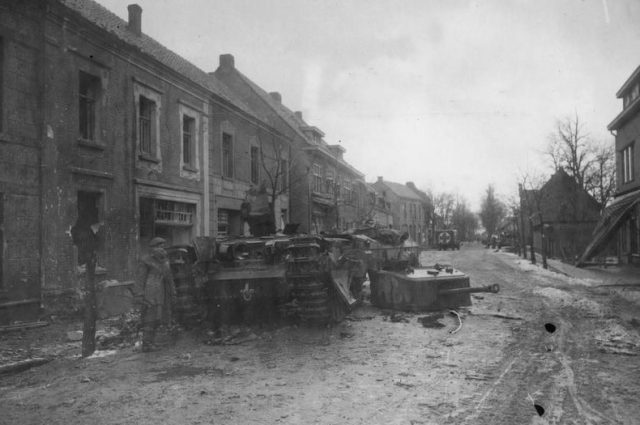 Crocodiles supported the 53rd Welch Division in their assault on s’Hertogenbosch in the October of 1944. In Italy, the Crocodiles saw action with the 25th Armoured Assault Brigade. In these actions listed above, the Crocodile would frequently operate in conjunction with the Petard mortar-armed Churchill AVRE. More often than not, the psychological effect of the vehicles would be enough to beat the foe. One can only imagine the dread felt by the Germans who were being stared down by the mortar of the AVRE and the flaming nozzle of the Crocodile. When facing a stubborn enemy bunker or position, the Crocodile would lay some flame in visual range to showcase its deadly breath. Should the position continue to stand, the accompanying AVRE would crack it open with a mortar round. The Crocodile would then proceed to cover the breached area in the flaming liquid which would then flow into the position. The success of the Crocodile was also its curse. Once the German army learned how to identify a Crocodile, anti-tank fire was often concentrated on it. It was also not unknown, and there is at least one recorded instance of this happening, for crews of disabled Crocodiles to be executed on the spot as revenge for their attacks. Some 250 Crocodiles were earmarked for use in the Eastern theater against the Japanese. These most likely would’ve been used had the war not ended. In 1946, the Crocodile was tested on the hills of Chaklala in India to see how it would’ve performed in the eastern environment. Though the tank kept its great cross-country and climbing abilities, the Crocodile was thought impractical due to its wheeled trailer. Even after this though, the Crocodile saw service alongside the standard Churchill into the Korean War from 1950 until their withdrawal in 1951. They served with C Squadron in the 7th Royal Tank Regiment’s 29th Brigade. Crocodiles were formally removed from service not long after this. In the UK, surviving Crocodiles can be found in a number of locations. Several are owned by the Muckleburgh Collection in Norfolk, the Cobbaton Combat Collection in Devon, Eden Camp Museum in North Yorkshire, the D-Day museum in Portsmouth, the Wheatcroft Collection, and, of course, The Tank Museum in Bovington. Some are also in the hands of private collectors. A few can be found elsewhere in the world as well. The Kubinka Tank Museum in Russia has one, the Museum of the Regiments, Calgary, Alberta Canada has another, with one more at the Royal Australian Armoured Corps Museum. Two can be found in France, one without a trailer is on display at the Bayeux Museum of the Battle of Normandy. A Crocodile gifted to France by Queen Elizabeth II is displayed at the Fort Montbarey parade ground in Brest, Brittany. A recorded interview with Ernest Edward Cox, surviving crew member of “Stallion”, the Crocodile pictured above. Interview by Jeena Reiter. Read HERE. Haynes Owners Workshop Manuals, Churchill Tank 1941-56 (all models). 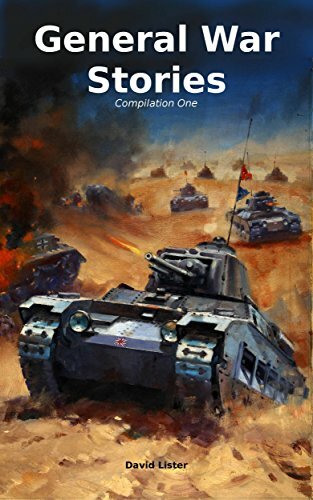 An insight into the history, development, production and role of the British Army tank of the Second World War. The Churchill Crocodile with its trailer – Illustrated by Tank Encyclopedia’s own David Bocquelet. How does fire affect a tank? I don’t understand it that much… It seems like the least it can do is burn the front of the tank. I know it would be very effective against infantry. Against enemy armor it wouldn’t do much apart from obscuring the vision ports. If the enemy vehicle was open top, however, it would be a dangerous thing to come up against. So “A pipe ran from this through an opening in the hull floor ” Does that mean the pipe that ran to the trailer was, for the most part, outside the tank? That does seem a lot safer. You need a motor – pump combination to press the liquid out of the tank. And you have to protect the motor-pump from bullets at least. Thats why the pipe with the liquid napalm goes inside the tank.